Three things stirred Julian Murray's passion: His family, singing and the law. The long-time Director of Tulane Law School’s Trial Advocacy Program spent a lifetime fervently honoring all three, from raising a family, singing whenever and wherever he could and defending the rights of those whose voice was rarely heard. Murray (L’64) died in September of 2017. His service drew many students, friends, academics and former clients, some of whom he had helped release from long prison sentences. For his contributions to Tulane, including his decades teaching and the co-founding of the trial advocacy program, the law school is hosting a celebration of his life and legacy Jan. 30, what would have been Murray's 81st birthday. The event runs from 5:30 to 6:30 p.m. at the John Giffen Weinmann Hall, 6329 Freret St., Room 110, with a reception following. During his long career as a criminal defense attorney, Murray touched the lives of thousands and took on cases – often pro bono – that others would not tackle. “He believed so deeply that everyone, no matter what they had done or who they were or where they came from, deserved to be represented, he took on cases no one would,” said his daughter, Kathleen Murray Beach. As a long-time adjunct professor at Tulane, Murray influenced thousands of students who took his courses, none more popular than those where he taught real-life courtroom skills. Murray graduated from Tulane Law School in 1964, starting his career as a prosecutor and eventually opening his own practice. By the late 70s, he was an adjunct professor at the law school where he began to press for a trial advocacy program, recruiting talented young attorneys like Luker to help him shape the curriculum. “This was the first program that gave real-life training,” said Luker, who succeeded Murray as one of the program's directors. Despite the schedule he kept, Murray dedicated extraordinary amounts of time to doing pro bono work. He represented such high-profile clients as Wilbert Rideau, convicted by an all-white jury of killing a bank employee during a botched robbery. Rideau sat in Louisiana’s Angola prison for more than 40 years, becoming an author and journalist in prison. With a defense team that included Johnnie Cochran, George Kendall and Murray, Rideau was tried for a third time in 2005, which ended in a manslaughter conviction and a 21-year sentence. He was released on time served. Rideau said Murray took the work for free. “I guess Julian, so pure of heart himself, wanted his gift to me – my freedom – to be pure as well,” he said. Murray also represented rookie NOPD officer David Warren, who spent three years in prison for the post-Katrina shooting of an unarmed man, Henry Glover. In a second trial, he was exonerated. Over the years, Murray received numerous awards for his work. He was selected as one the Best Lawyers in America for more than 25 years. 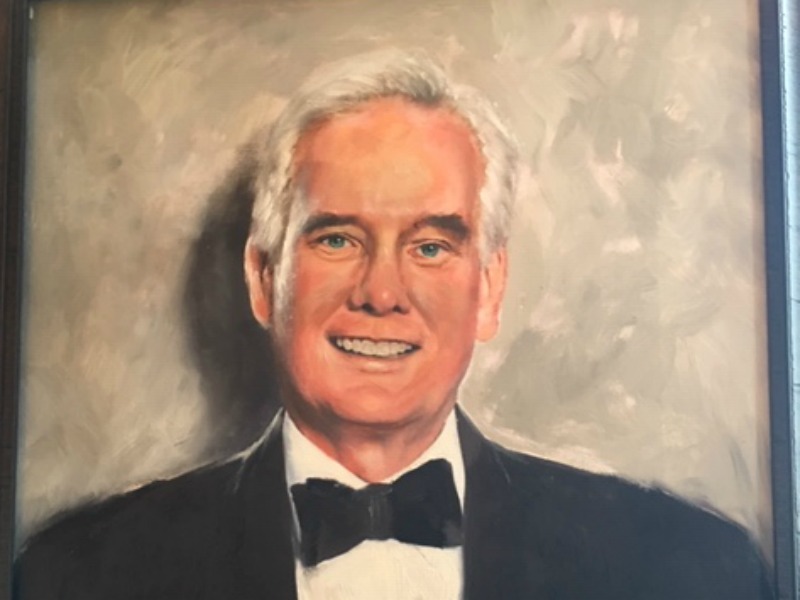 He was chosen to be an Honorary Member of the Coif, received the Jack Martzell Professionalism Award, named Tulane Adjunct Faculty of the Year, and was twice featured on the cover of New Orleans magazine. When Murray decided in 2008 to step down as director of the Trial Advocacy Program, he told the Tulane Lawyer that he knew two things to be true about being faculty: He tired much more easily than when he started and that the students never tire.